One of my favorite ways to practice uppercase and lowercase letters with my preschooler is with alphabet matching activities. 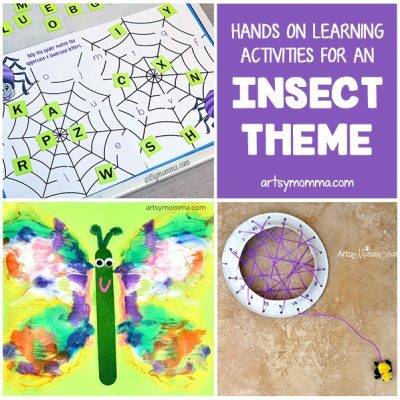 I have made quite a few different variations this past year and not only have they helped my preschooler to master her alphabet, but the matching aspect makes the activity super fun for kids! 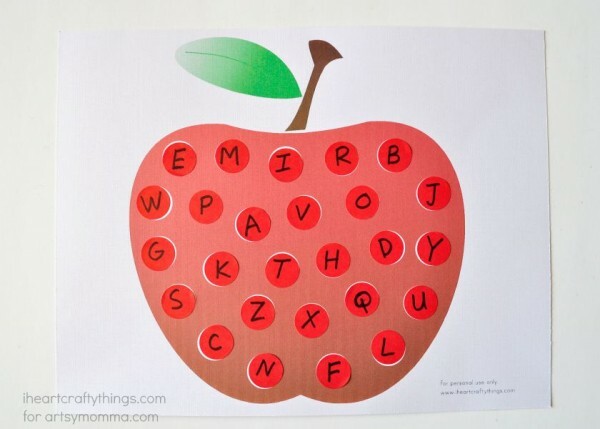 Every year at back to school time at my house we always have lots of fun with apple crafts and activities, so I put together this fun ABC Apple Matching Printable for Preschoolers. It is sure to bring some excitement into your home when practicing the alphabet with your preschooler. Apple Matching Printable (find the blank version HERE) *Free for personal & classroom use only. 1. Start by printing off the Apple Matching Printable. 2. 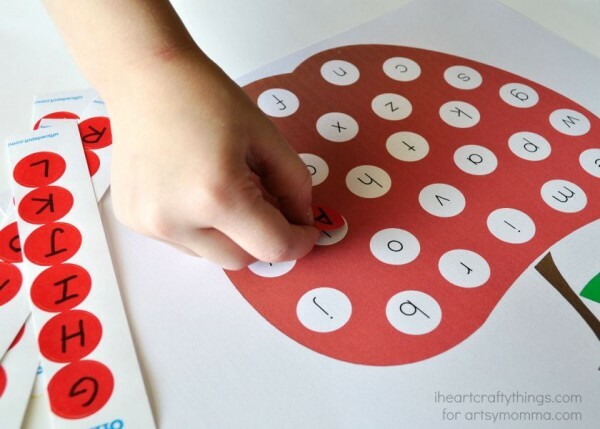 Write your uppercase letters onto your red round stickers with your black marker. 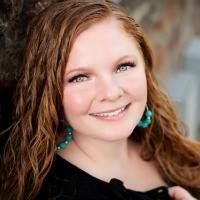 If you are using the blank version of the printable, customize the printable and labels however you choose. I’ve listed a few ideas at the bottom of this post. 3. Now your preschooler can remove one sticker at a time, find the correct match and place the sticker onto the alphabet printable. 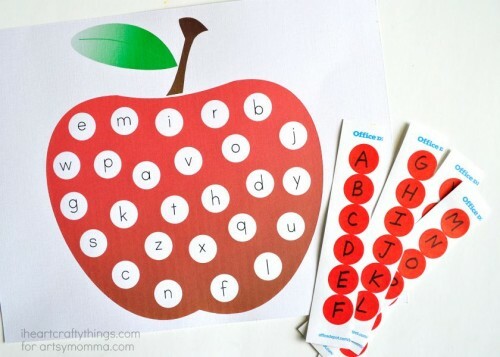 Write the uppercase letters in the printable and on the stickers and concentrate on only uppercase letters. 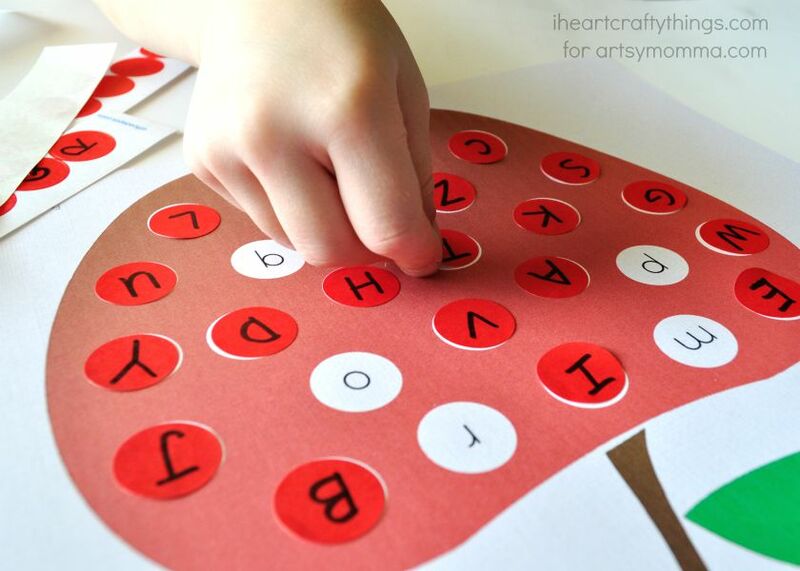 Use the alphabet printable for preschoolers with a letter A theme, and write upper and lowercase A’s on the printable and on the stickers for your preschoolers to match. If you are working on name recognition, write the letters in your preschooler’s name inside the apple and on the stickers for matching. 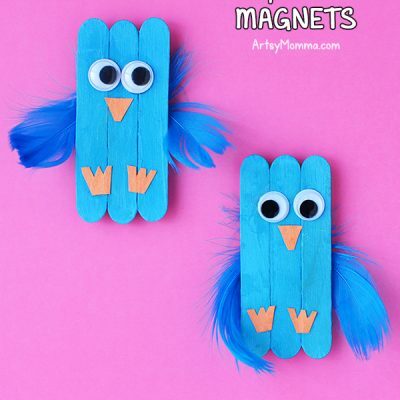 Draw different shapes on the printable and on your stickers and have preschoolers practice matching shapes. Browse the archives for more alphabet fun including this ABC snail paper plate craft! 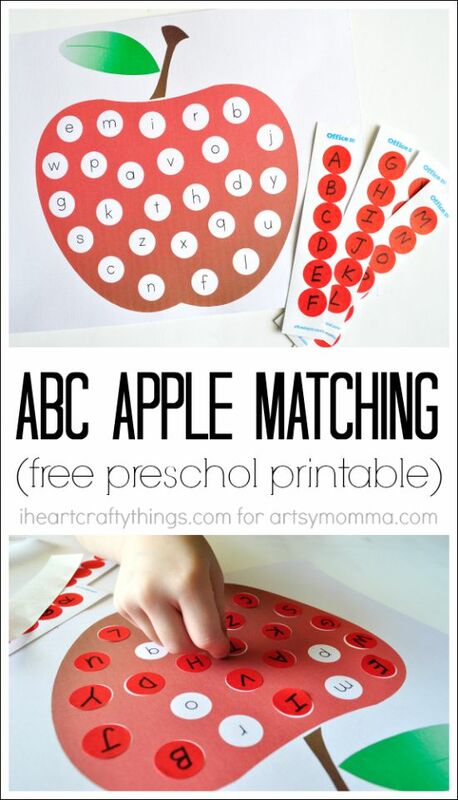 Thanks for sharing the ABC apple matching printable with us Rachel! « Blackberry Vanilla Smoothie that kids will love!